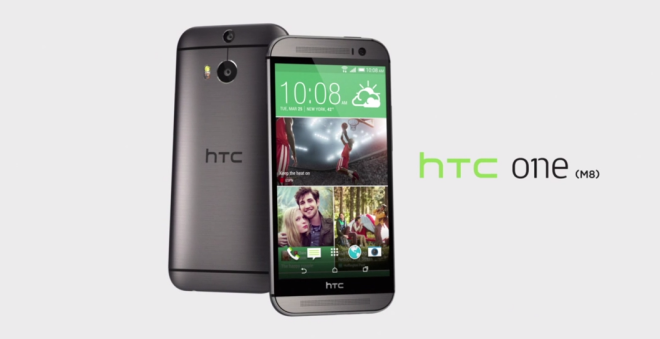 HTC’s One (M8) is one of the finest smartphones ever made. Its solid metal unibody build is the stuff of Samsung’s nightmares. And from tomorrow, August 20th, T-Mobile’s going to drop the price of HTC’s flagship Android phone in its latest Back to School offer. Our source informs us that the device will have its price reduced by $50 in retail branded stores and retail phone support (RPS), and there’s no need for any rebate. What’s interesting here is that the HTC One on T-Mobile’s website is already showing as “on sale” with $48 off the full retail price, plus a free promotional ‘Fetch’. So it’s unclear right now if the phone is going to drop a further $50 to $538 online, or if the existing $48 off is going to be replaced by the $50 off and therefore only saving you $2 on the current on-offer price. It’s likely that the online offer remains unchanged from what it is now. What we do know for sure is that the phone will cost $585 in participating retail stores, which is $50 off the full retail cost. Over 24 months on EIP that’s $24.38 per month, presuming you pay no down payment. The offer is available to new and existing customers who are either activating a new device, or upgrading. Pay in Advance customers will need to have a minimum plan of $35 to qualify. Pricing is reflected automatically, so a rebate form is not required. We’re told the offer will expire after close of business on September 16. Feel free to extend this offer to an actually desirable device like the G3, T-Mobile. I use both devices and for everyday use I find the HTC one M8 still the best phone on todays market. G3 is a beast but with the extra size / lesser battery life /plastic construction the M8 is still my favored device. With a case on the device the plastic body is removed from the equation. Most users put a case on their phone. I only bring this up because I get tired of reading/hearing how the plastic bodies on these devices seem cheap. Yet, individuals end up with a case on their phone and never notice the difference. In my opinion, it’s a foolish move to not put a case on these devices. The first thing I did when I got my phone was put on a screen protector and then a case. I also think the G3 vs the M8 will be a personal decision. They both run a version of Android with their manufacturer’s UI over it. With that said I’ve heard a lot more praise on the M8 than the G3. I have to agree with you on this one. I’m quite tired of plastic being viewed as “cheap” and metal as “premium”. Anyone who’s held any of the Lumia devices knows that materials like polycarbonate can have a very premium look and feel. As for which mobile OS….,that’s definitely personal preference. It really does come down to what they do with the materials. The textures that Samsung are doing are NOT working, and I own a Samsung. I just don’t see glass or metal as premium. I agree. My laptop is plastic. My keyboard is plastic. Heck, my car is plastic. You never hear anyone say: I’m not buying that laptop because the fact that its made of plastic means its cheap! Hadn’t thought of the car angle before; I like it. Apple iPad 2 – flip cover. There you have it. There are lots of people who don’t use cases. I tend to use the flip covers for propping the device. Casing (no pun intended) point…the notes and tablets. None of my devices have been dropped or scratched (I don’t use screen protectors either because they take away from the screen experience) and are usually passed on to relatives, in near mint conditions. Plastic does feel cheap. Durable but still feels cheap. I don’t think cases are good for phones. Friend had a GS4 and it overheats! The Lumia phones have great plastic, and my One-S I have no idea if it’s plastic or some poly carbonate or metal, it’s very nice. No case on that one. The TMO Lumia 925 is not really low-end, pretty mid-range for now. the M8 is much better performing than a g3 despite the spec comparison. i own both and i prefer the m8. I understand I’m on the outside looking in since I don’t own either device, but I have to say from taking a look at them both in-store, and from my experience with HTC devices and software, I know I will prefer the G3 much more than the M8 (even if it’s only because I know my money didn’t go to HTC, but there’s more than that). Probably the only reasons I didn’t buy a G3 already is no USB3.0, not 64bit capable (it doesn’t need to be 64bit yet, but being able to be updated to be is absolutely important from here out), and questions about battery life. I didn’t get that impression using it this weekend (a friend just got the G3). But, he hasn’t had it long, so we’ll see how much it bothers him in a few weeks. So far, he’s been happy with battery life, but it isn’t stellar. Still, no 64 bit compatibility kills it for me, since Android L will be 64bit (no one freak out, I understand Android L will also be 32 bit compatible). If the G3 is more desirable, then T-Mobile has no reason to discount it. Since it’s more desirable, more people are will to pay more for it! I understand that, I also understand that’s exactly why they discounted the M8, but it would be nice, wouldn’t it? It was on the g3 for the last like 10 days. $50 off and a free g3 circle case. Well, I would rather wait for early sep where 2 phones will be out. Note 4 and iPhone 6. After that M8 might go down further (price). I’m hoping for a deal of some sort on the Note 4 around the Holidays. youre not gonna see an iphone in early september. Sept 9th.. he’ll see it just fine. Unless the 9th is no longer considered ‘early’.. someone fail to pass a memo? He’ll “see” it but it won’t be available until Oct.
Im waiting till the xperia z3 drops. Still loving my waterproof(swimming with many times) xperia z1s. (kk 4.4.4) Bring on the new Sony!! It sure would have been nice to see the Windows Phone HTC M8 version on Tmo but once again they fail to get another Windows Phone. I think its just HTC themselves who allowed the exclusive to Verizon. And Microsoft of course. Can’t see that T-Mobile was to blame. Always disliked exclusive carrier deals. Its a beautiful phone with any os. Carriers order phones from OEMs. Ultimately the carrier is responsible for the phones in their stores. No OEM makes a phone and tells other carriers to take a hike just because. Too many run-on sentences…couldn’t read. So only Verizon wanted the windows 8 HTC M8 and AT&T, Sprint and T-Mobile were not interested? Att is obviously interested as they have announced their intent to carry this phone soon. The only reason Verizon would get it first is if they offered something in the way of advertising and promotion. You still don’t see sprint or T-Mobile announcing their intent so I’m gonna say they said no to this device. T-Mobile seems only interested in the low end WP, cuz those are the only ones they’ve been successful with. Interestingly, those are the only WP8 devices they’ve ever marketed. Edit: TK is reporting that sprint is also going to carry this device. So, yeah, I’d say HTC and Microsoft are definitely interested in bringing this to any carrier that wants it. Really can’t decide on these phones. I want to upgrade from my Nexus 5. I’m intrigued by the G3 but still hear very good things about the M8. Plus with the Moto X+1 around the corner along with a bigger (4.7) IPhone 6, the decision just got harder. If you have a Nexus 5 and are looking to upgrade now, then don’t wait for band 12 phones. It will take a while for T-Mobile to deploy anything on band 12 so by the time it’s ready you will probably want to upgrade again. tmo has said that they will have deployments by the end of this year. The camera is the thing I see mentioned in discussions on the M8. The phone does get a lot of props from owners. If you care about the environment avoid LG, until they figure out what they’re doing to the Palisades on the Hudson River. I don’t mean to interrupt, sorry if it’s not the right place to say this. But if you do care then there it is! What are they doing besides building their new headquarters? Building their new headquarters against the surroundings which are protected palisades forest, where they can just build a little lower and wider. Being a-holes about the whole stupid situation regarding building their headquarters just a bit too high. Crazy! What do you love about you M8? Did anyone return a LG G3 to get this phone? Comments from anyone who had both LG and M8 would be helpful. on a JUMP plan and I am looking for my next phone. I kinda regret trading my M8 in for the G3. The G3 seems a lot less responsive on the touch screen. I just ordered a replacement to see if it just a faulty screen or not. However I do love the screen size of the G3. But I miss the smoothness of my M8. I hope I didn’t make a mistake by switching. Anyone else switch from M8 to G3 and regret it not regret it? It’s the animations. Go into developers section and turn down the animations to .05 or off completely. There is three different places where you can turn them down and off all right under each other. This isn’t new, all Android phones have this section. This will make your phone respond instantly. I will try it. Thanks! Whats better? .5 or off completely? Off makes things too abrupt for me. Try .5 and off, see which you like. I like .5. Interesting. I don’t think that is a widespread problem at all. It is still more expensive than my OnePlus One 64gb.